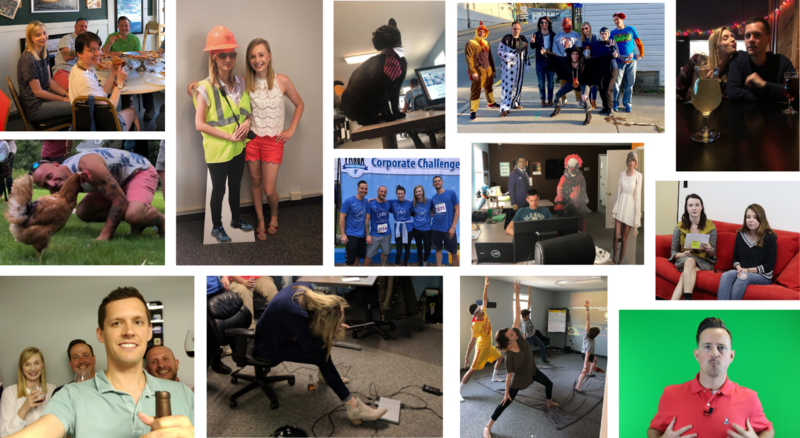 Careers with protocol 80, Inc.
Fun is one of our Core Values, and we take it very seriously :). We've been serving our clients through online marketing since 2002. We're growing quickly and focused on online lead generation for B2B companies. Our clients want to grow and we help them do that, while having a lot of fun along the way. We are currently a small team of 9 with some great partners that are on a steady path of growth and hiring. Dependability Know what you're responsible for and own it. Be a self-motivated contributor for the team and be resourceful in your work. We never have to question our teammates ability to deliver. Passion Passion = energy. Strive to be the best marketer you can be, and put your heart into your work. With passion comes growth as an individual and a team. Expertise Constantly sharpen your skills and be an expert advisor to our clients and team. This industry is always changing, which is exciting, but requires you to be passionate about it and want to continually learn. Team Understand that we all have strengths and weaknesses. Our combined, maximized strengths is what will get us to our goals. Fun Achieve results, but be sure to laugh along the way. Quality of life, happiness and fun matter to us. Health Insurance - We offer 2 great plans that cover you and your family. Life & Disability Insurance - We provide coverage for life insurance and disability insurance. Retirement - 100% employee-owned from day 1 of enrollment with company matching. Monthly Happy Hours - We take time regularly to celebrate our wins, and relax with some adult beverages and snacks. Monthly Team Lunch - It's a great time to have fun and share a good meal together! FREE Books - Want a book that will help you do your job better? It's yours! Training & Certifications - We're big on staying sharp here! You'll have access to multiple training and certification programs. In fact, you'll be Inbound Marketing certified your first month on the team! Want bonus points? Get certified before you apply! COFFEE! - We're pretty into this here... You'll pick up on that. Whether you like espresso, cold brew, mocha or the tried-and-true regular, we've got you covered. If you're not a coffee fan, let us know your drink of choice and we'll try to keep it flowing. Snacks - We all work better when our stomachs aren't growling! Team Events and Time Off - We believe in FUN here. No Debbie Downers allowed! We dress up at Halloween, kick back some drinks (ahem) at Christmas and take Black Friday off every year. We're very flexible with time off in general! We also travel to Boston regularly for HubSpot's Inbound conference, which is a great learning experience and get together of like-minded marketers! Vacation - Paid vacation that we want you to take! Time away is vital and keeps you fresh! There are no openings at this time. Apply below for future openings. A p80 IMC is a trusted adviser to our clients and responsible for developing successful inbound marketing plans. They are the primary interface between our clients and our team, leading the charge with each client's inbound strategy. Supports the new client on-boarding process through persona, buyer journey, and content plan development. 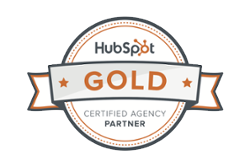 HubSpot & Inbound Marketing certification. Additional relevant certifications are a plus. If you are a talented and energetic person looking to explore and define your search marketing career, the Junior SEO & PPC Specialist position at protocol 80 (p80) could be a great fit. In this position, you will have the opportunity to work with a rapidly growing, dynamic agency focused on inbound marketing. You will be exposed to and work with a variety of digital marketing tactics, with a strong focus on SEO and Pay-Per-Click advertising. We are looking for a digital savvy individual that wants to have an impact and grow with our company. We are dedicated to hiring “T-Shaped” people to join our team. We define this as someone capable of learning and effectively executing a wide variety of marketing tactics, while finding a specialty they are able to build a deep expertise in. The specialty in this position is SEO and Pay-Per-Click advertising. Work with our SEO and Pay-Per-Click advertising Consultants to execute Search Marketing tactics that support each clients’ strategy. Use Google Analytics, Google Adwords, SEMRush, HubSpot, and other tools to manage and optimize our clients' organic search, paid search, and paid social performance. Report performance and recommended next steps to clients for ongoing success. Motivated to learn the full breadth of Inbound Marketing tactics. Proven analytical skills. Ability to make a connection between the tactics you’re executing and the metrics that matter to our clients. Proven project management skills with a history of meeting deadlines and staying within budget and project scope. Excellent, professional verbal and written communication skills. Superior work habits, motivation and passion for marketing. Ability to work productively in teams of people with diverse work styles, roles and goals. Digitally savvy and comfortable working online. Familiarity with basic web design and HTML a plus. Active in social media in a responsible, professional way. College degree, preferably in marketing, business, or journalism. If you are an entrepreneurial, talented and energetic person looking to explore and define your marketing career, the Inbound Marketing Specialist position at protocol 80 (p80) could be a great fit. In this position, you will have the opportunity to work with a rapidly growing, dynamic agency focused on inbound marketing. You will be exposed to and work with a variety of digital marketing tactics. We are looking for a digital savvy individual that wants to have an impact and grow with our company. We are dedicated to hiring “T-Shaped” people for the Inbound Marketing Specialist role. Defined as someone capable of learning and effectively executing a wide variety of marketing tactics, while finding a specialty that they are able to build a deep expertise in. Work with Inbound Marketing Consultants (IMCs) and peer Inbound Marketing Specialists (IMSs) to execute Inbound Marketing tactics that support each clients’ strategy. Manage and execute the activities required to achieve the client’s goals by using tools like HubSpot, WordPress and project management software. Constant and consistent communication with clients and your team to proactively identify needs and deliver solutions. Coordinate with internal team members to manage production of deliverables and execution of services. Respond to client requests and concerns with a sense of urgency and a focus on resolution. Coordinate frequently with your Consultant to communicate campaign progress, milestones and general health of account. Motivated to learn the full breadth of Inbound Marketing tactics. Evolving analytical skills. Ability to make a connection between the tactics you’re executing and the metrics that matter to our clients. Proven project management skills with a history of meeting deadlines and staying within budget and project scope.